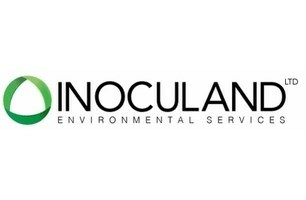 Inoculand Limited has been covering all aspects of pest control in London for residential and commercial clients since 2008. We carry out all work following the principles of population dynamics and using the specific pesticides most suited for the situation. Over the years we became the preferred contractors of a number of large estate agents such as Portico, Stirling Ackroyd and Chestertons. We also benefit from a large base of clients who often refer us to friends and parents. We are trustworthy and dedicated to our clients. Inoculand Ltd first distinguished itself by offering mouse proofing with a 1-year guarantee that would block 100% of the access points throughout the home. The treatment would still be carried out to deplete the stock of mice inside and around the property. But at last with the proofing, mice would not be able to reinfest the property freely. The second service we excel in is heat treatment. We invested heavily in different types of heaters that would suit different situations. We have electrical heaters that we use in boats, planes, areas where naked flames are not permitted. We also have the standard propane burners that are used to heat up bedrooms. And more importantly, we have cimex eradicators that allow treating areas that other form of heating cannot do using superheated dry heat. The Founder and Director of Inoculand Ltd Daniel Neves, is also the Head Biologist for the company. After working 5 years for the London Borough of Lambeth Environmental Health Department's Public Health and Pest Control service, he wanted to bring real long term solutions to common pests and commitment to results. At Inoculand Ltd, we know that doing the right thing the right way is the best way to achieve results. We ensure that all the technicians follow to the letter the same optimal protocols and use the most appropriate solutions using the best techniques and materials available. Our approach extends far beyond the pest control arena. For years we have been increasing our commitment and corporate social responsibility putting forward a number of charitable incentives. At present we are sponsoring a Diversity and Community program providing £120 grants to a number of educational or social projects. Whatever the issue you are suffering from, we will be able to advise you on the best course of action, and we will stay with you every step of the way.